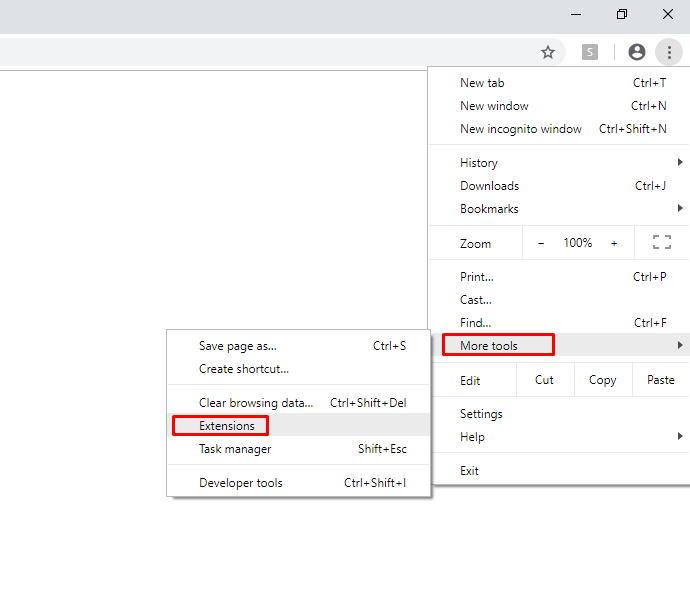 I’m using SOATest 9.10.5 and Chrome 71.0.3578.98 64 bits, and when I start a New Web Scenario Recording using Parabank as instance a blank page is opened and the URL I put at recording parameters is not called. I’ve already upgrade my Eclipse Chrome web driver and reinstaled Google Chrome, but nothing went ran. Similar or duplicate question to this one? 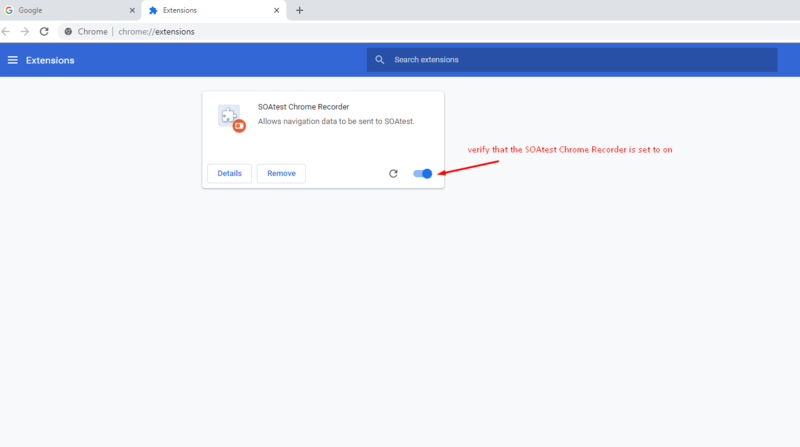 Can you please check if the Chrome browser that SOAtest opens when you start to record your scenario has the SOAtest Chrome Recorder extension installed and enabled? Please use the screenshots below for reference. If the extension isn't enabled then please enable it.